Many non-profit organizations feel like they are spending far too much time online trying to raise money, with far too little return on that investment. 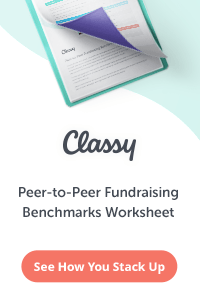 Everyone is telling them what a great tool the Internet is for fundraising, but they are frustrated and ready to throw their hands up. The most valuable online fundraising asset you have is your e-mail list… your list of donors, prospects, volunteers, and others who have given you their permission to communicate with them via e-mail. E-mail is the only truly active medium for online fundraising that allows you to go out and contact your donors whenever you want. Spend time and energy to build your e-mail list. Try hard to collect e-mail addresses and sign-up prospects for your e-mail newsletter. Make sure your website is geared towards collecting e-mail addresses. Set an ambitious goal for increasing your list size this year. For more on raising money through e-mail read How to Write Better Fundraising E-Mails for Your Non-Profit. The average non-profit is not going to raise all, or even most, of their annual budget online. That’s the truth – and when many organizations realize it, they set up two separate strategies – an offline strategy, geared to raise 100% of their annual revenue, and an online strategy, which is simply icing on the cake, if it raises any money at all. This is a mistake. 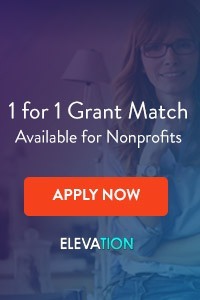 You can raise a substantial amount through your website, e-mail and other platforms, but only if your online fundraising strategy is part of an overall fundraising program. Don’t build a wall between online and offline. Communicate, cultivate, and make asks across all channels. Great fundraisers always cultivate before they ask. This means communicating with donors and building a relationship with them before seeking a gift. Yet, many organizations that observe this rule offline wantonly violate it online. Online donors want a relationship with your organization as much as offline donors. Build that relationship. Cultivate them. Communicate with them. Then make your ask. You’ll reap larger gifts and longer-term relationships as a reward for doing so. Social media sites are a great place to have conversations with your donors and prospects, but they are not great places to make asks or receive gifts. 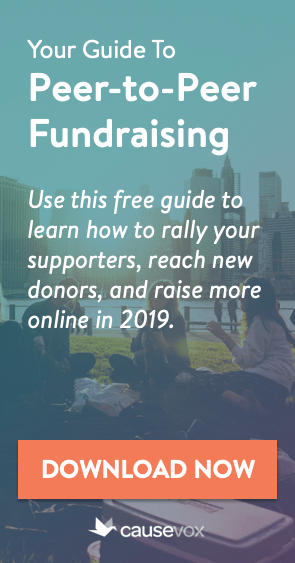 When developing your online fundraising strategy, see social media sites for what they are: excellent funnels where you can engage current donors, find new supporters, and encourage people to visit your organization’s website to learn more. Once on your site, encourage these visitors to sign-up for your e-mail newsletter, so that you can actively stay in touch with them. 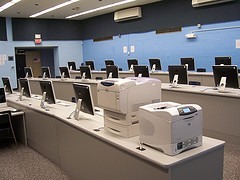 For more on fundraising and social media, read How to Set Your Non-Profit’s Social Media Goals. 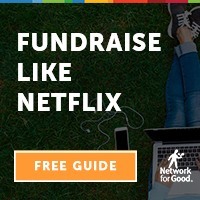 Has your non-profit tried a crowd-funding campaign? Lots of organizations have had success with raising $10,000 – $50,000 for a specific program or activity through crowd-funding sites like Indiegogo and CauseVox. If you haven’t tried it yet, consider running a campaign this year. Previous post: Do Your Donors Want Your Fundraising to be More FUN?